Before the process of planning a wedding begins, you need to come up with a budget. Fortunately, finding a beautiful venue that suits your needs is possible even with a limited budget. Talk to your partner and agree on how much you can spend on a venue. Once you have a budget, look for venues that fit within this and take care that you don’t go over. There are a range of different wedding ceremony venues in Melbourne to choose from, with locations situated right across the city and suburbs. You might be expecting guests from different parts of the world, or you may have old relatives attending who can’t travel long distances. For this reason, you should choose a venue that’s conveniently located and easy for most guests to get to. The size of the venue you choose will depend on the number of guests you’re expecting. If you’re inviting 150 guests, make sure that the venue you select can accommodate that many people. The last thing you want is for people to feel crammed in during your wedding, which can detract from their enjoyment. Not every venue you visit will take your breath away immediately. You may find that some venues don’t look greaton first glance, but once the décor is set up, the picture changes. It’s therefore a good idea to keep an open mind when viewing wedding ceremony venues in Melbourne. 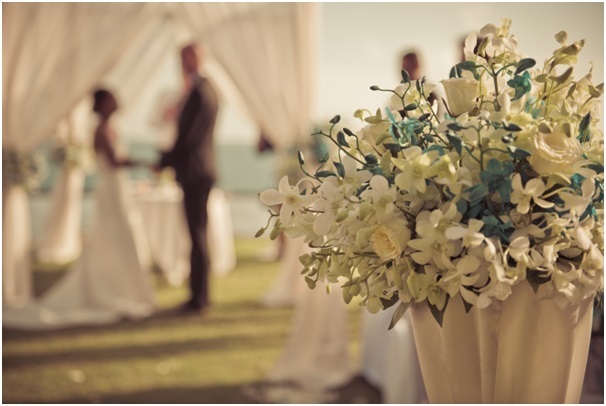 When planning a wedding, it can be helpful to talk to friends and family members who have gotten married in the past. Meet up with them and let them advise you on the best venues to consider. You can also go online and read reviews to get an idea of what people have to say about different venues. Once you and your partner have decided to get married, it’s a good idea to start searching early, as most venues become booked fast. If you don’t want to miss out on your dream venue, make sure you book early enough. The good thing about booking a venue early is that it makes the rest of thewedding planning process much simpler.